Enhance guided reading time in your classroom with finely graded, easy-to-use PM guided reading cards, which cover all of the key text types in fiction and non-fiction and include discussion prompts and questions. 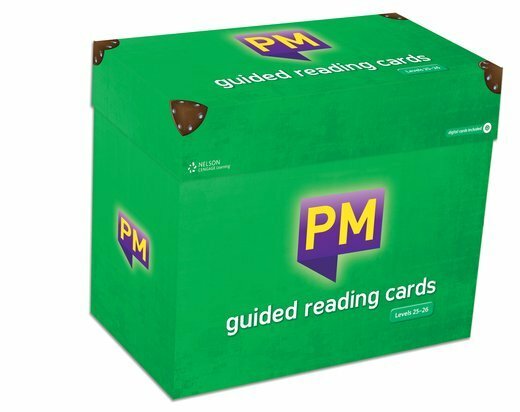 PM Guided Reading Cards Easy-Buy Pack contains nine PM Guided Reading Cards Box Sets (Green, Orange, Turquoise, Purple, Gold, Silver, Emerald, Ruby and Sapphire). Please note Emerald, Ruby and Sapphire Box Sets have ten guided reading cards. Green Box Set includes USB stick instead of CD_ROM.